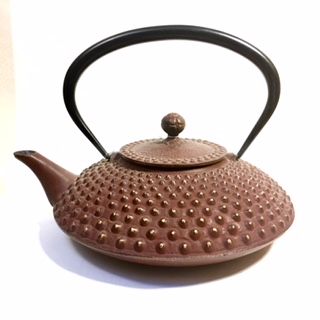 Large maroon Nail Head iron teapot with enameled interior to prevent rust. A. A. strainer basket. Not to go on gas or electric stove. 3 1/2" opening diameter, 4" height and 9 1/2" width.